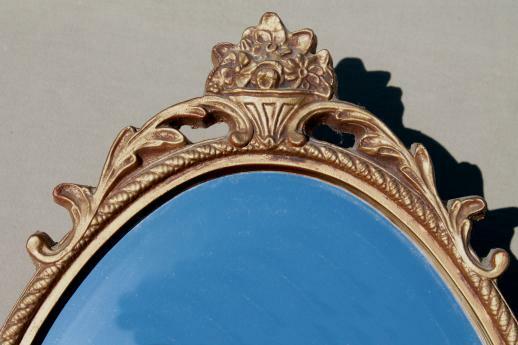 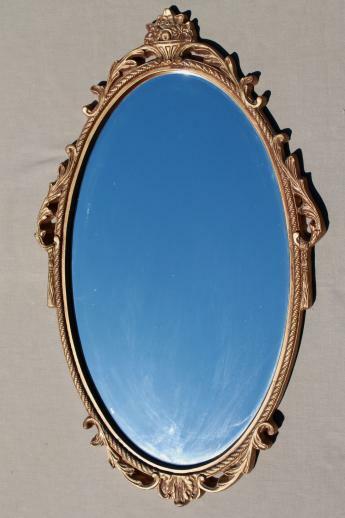 Unmarked vintage gold rococo plastic framed mirror (mirror is glass). 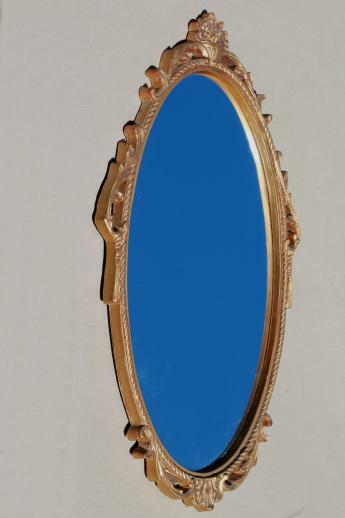 Maybe a Syroco piece, or something similar... it's very pretty, and in very good condition. 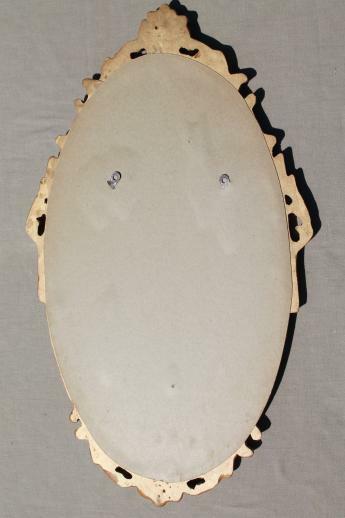 Measures 26" 15 1/2" across the frame.